Mega Sale! 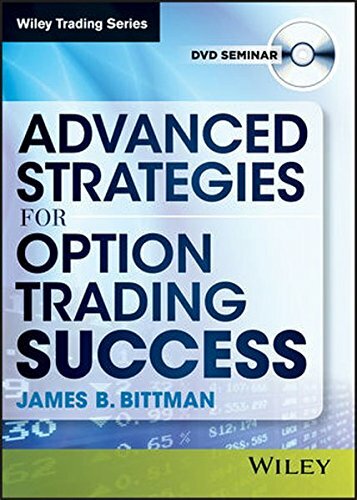 Save 24% on the Advanced Strategies for Option Trading Success by Wiley at HYIP Offer. Hurry! Limited time offer. Offer valid only while supplies last. Run time: 90 min. If you're ready to move beyond option trading basics, you're ready for this detailed workshop from the CBOE's top options trainer. Fine tuning the art of profit analysis: Is this trade worth doing? You'll learn the importance of implied volatility in pricing puts and calls, why seemingly good option strategies often go awry - even when the underlying asset moves as expected. You'll benefit from Bittman's methods for selecting the right strategy for a given market-and the right option for each strategy. Even if you've read Bittman's bestseller Trading Index Options, this powerful video brings the best of Bittman right to you-in a one-on-one course that's sure to improve your trading acumen, and ultimately, your trading profits.